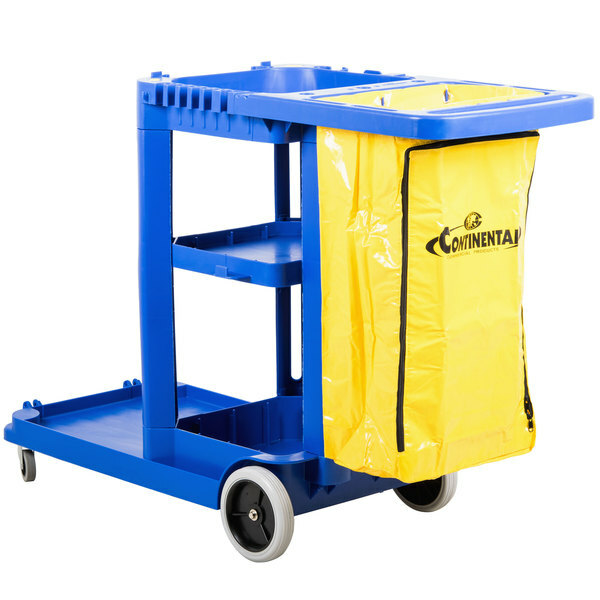 This Continental 184BL janitor cart holds all of the supplies you need to get the job done quickly and efficiently! 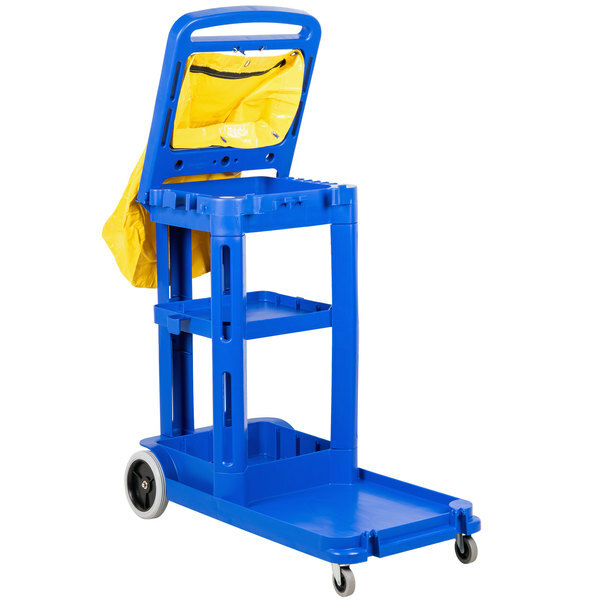 It features 3 sturdy shelves, including an adjustable middle shelf, for storing cleaning chemicals and restroom essentials. 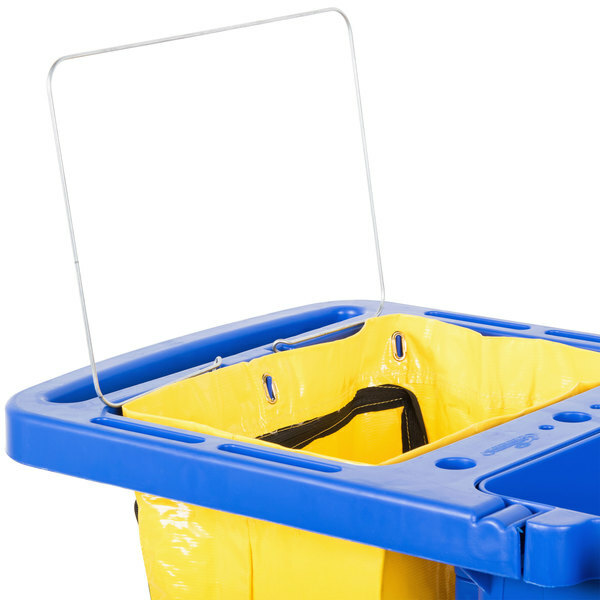 Plus, the integrated mop and broom holders help keep all your cleaning tools close at hand. 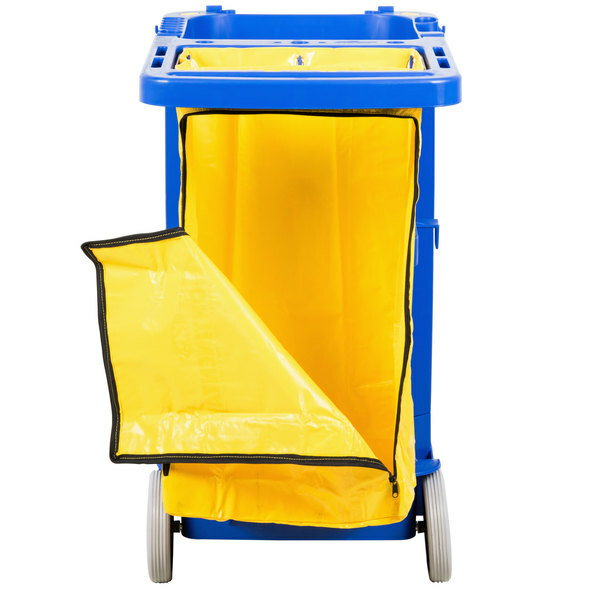 A spacious front platform with retaining lip has room for a waste can or a mop bucket / wringer. 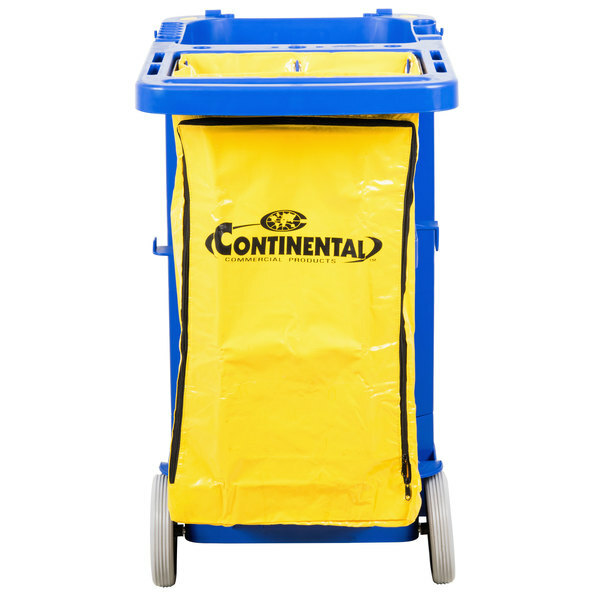 Its rugged 25 gallon vinyl bag is attached securely to the cart for waste or laundry collection, and can be easily removed for emptying. 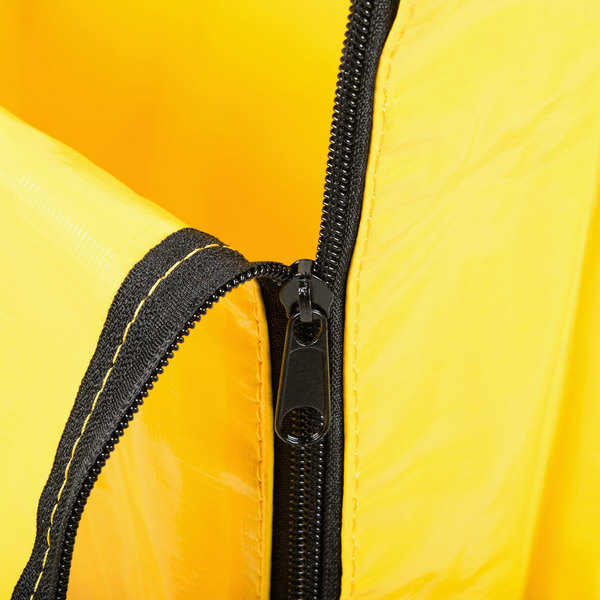 It also features a zipper so you don't always need to remove the whole bag. 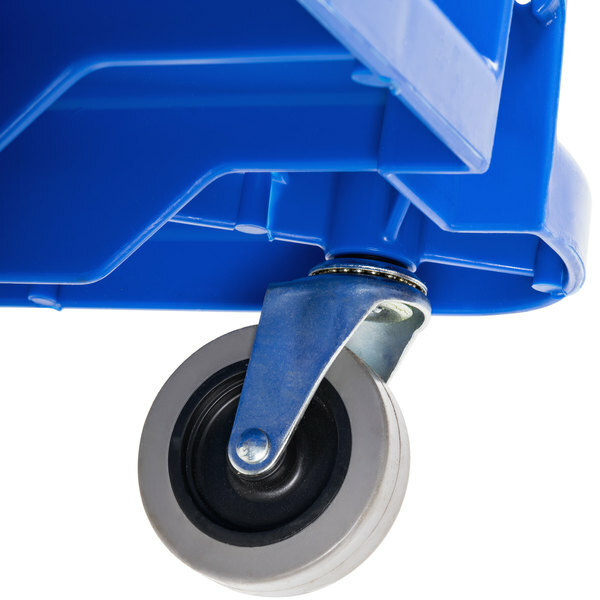 The handle of this cart swings up and folds forward for space-saving storage in your supply closet, while its large, non-marking 8" rear wheels and 3" swivel casters at the front enable superior mobility. 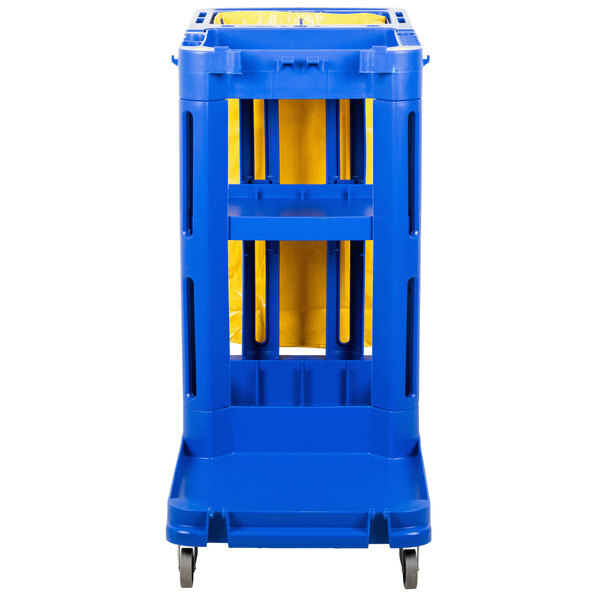 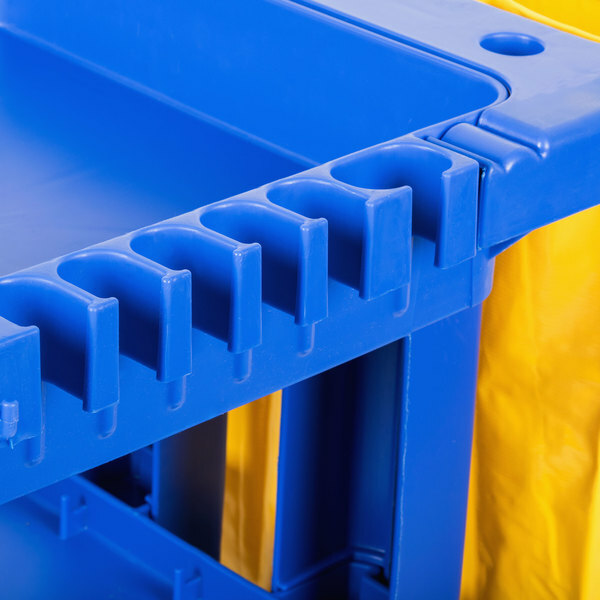 Thanks to the heavy-duty plastic construction, this cart is ideal for use in wet environments. 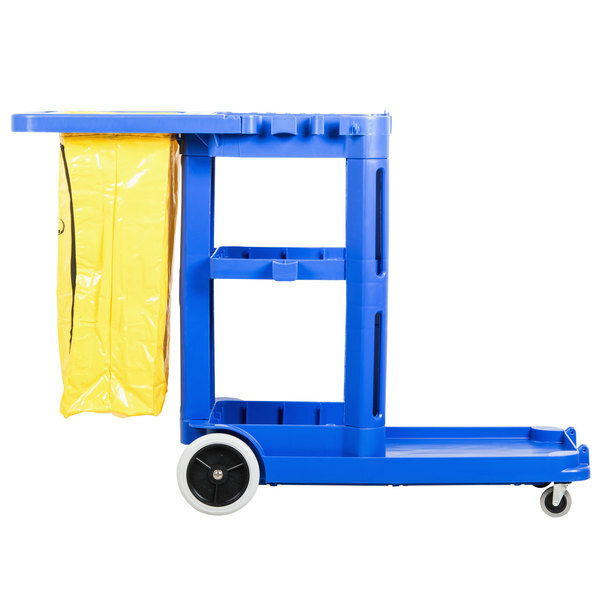 We use this cart in our greenhouses for plant care, from tall house plants to hanging baskets and planters, would recamand to anyone looking to make work easyer.